Chimbote is the largest city in the Ancash Region of Peru, and the capital of both Santa Province and Chimbote District. The city is located on the coast in Chimbote Bay, 130 km south of Trujillo and 420 kilometers (260 mi) north of Lima on the North Pan-American highway. It is the start of a chain of important cities on the Peruvian north coast like Trujillo, Chiclayo and Piura. The advantages of this geographic location made Chimbote into a transshipment junction for the Santa River valley. In 1835, when General Santa Cruz granted Chimbotes first official acknowledgement, Chimbote was a village of fishermen with a population of no more than 800. In 1871, an agreement was made with Henry Meiggs to build a railroad towards the interior of the country. 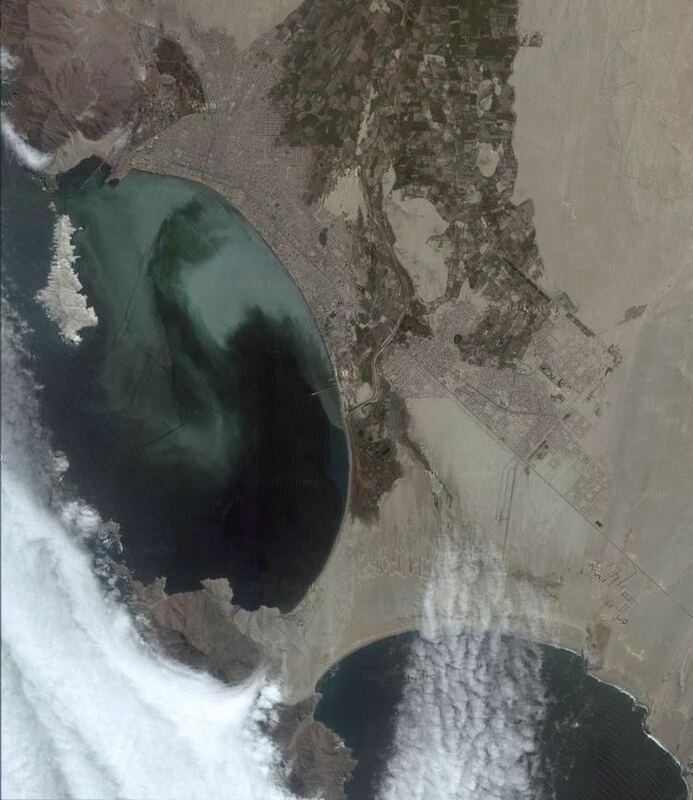 Chimbote was classified as a port, even though its population remained around 1,000. 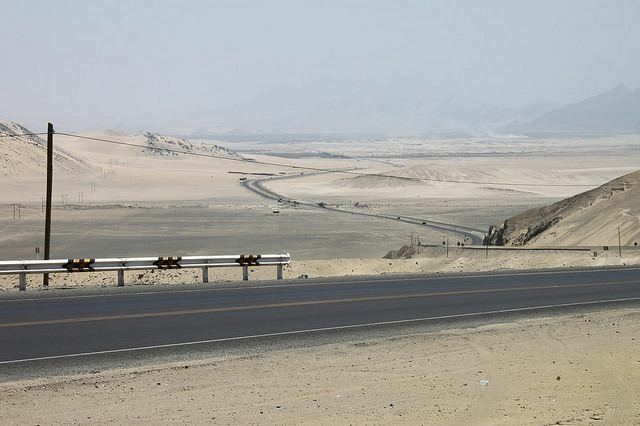 The opening of the Pan-American Highway created easy access to Lima in the 1930s. In 1940, Chimbote was still a small fishing port, with only 2,400 inhabitants in an urbanized area of 80 hectares (0.80 km2; 0.31 sq mi). In 1943, the government created the Corporacion Peruana del Santa (Peruvian Corporation of Santa). This entity assumed ownership of the railroad, made improvements to the port, and began work on a hydroelectric power station on the Rio Santa (in the Canon del Pato [Duck Canyon] in Huallanca). The first stage of the power station was inaugurated in 1958; also that year, an iron and steel plant was built. By 1943, the first companies dedicated to the extraction of liver from the Pacific bonito fish arrived. This liver was sold for a high price abroad due to World War II. During the 1970s, the El Nino climate pattern, an earthquake, and overfishing drastically affected the fishing industry, and restrictions were imposed to ensure its survival. More than 75 percent of Perus fishing industry is based in Chimbote. Chimbote is surrounded by two natural bays, the Bay of Chimbote (or Ferrol) and the Bay of Samanco, both with excellent harbor conditions. Chimbote forms a conurbation with Nuevo Chimbote District to the south. Between these districts, the Humedales de Villa Maria, a swamp, is home to a local species of heron, along with many species of frogs and fish. The swamp is formed by the Lacramarca River. To the south of the city, there are many beaches, such as Vesique, Los Chimus, Tortugas, Caleta Colorada and el Dorado. Also located near Chimbote is the Isla Blanca (white isle, in English), which takes its name from the white color of the ground. Isla Blanca measures approximately 3,200 meters (10,500 ft) in length and 920 meters (3,020 ft) in width, and reaches 204 meters (669 ft) above sea level. Located next to the city is the Cerro de la Juventud (Mountain of Youth), also called Cerro de la Paz (Mountain of Peace). Since 1985, this tourist attraction attracts hundreds annually. Visitors appreciate a panoramic view of Chimbotes bay from the top of this mountain. 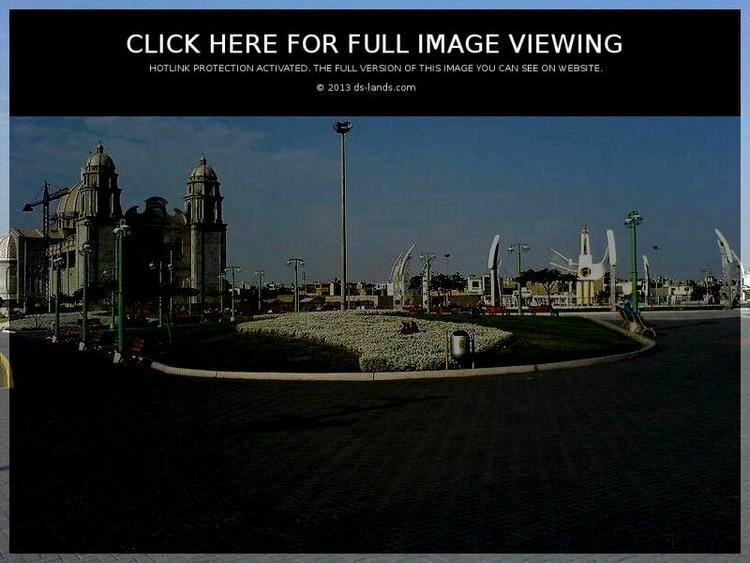 Tourists can also visit Isla Blanca Boulevard, which has many beautiful marble sculptures and fountains. The city is known for its ceviche, a popular Peruvian dish whose ingredients include white fish, octopus, seashell, squid, crab, and red hot pepper. Chimbote has two important celebrations during the year: Holy Week and The Festivity of San Pedrito of Chimbote (also called Chimbotes Civic Anniversary). Patronal feast of San Pedrito, this festival has its origins in the 16th century with the first fishermen who populated Chimbote coming from Huanchaco. It is held from 23 to 30 June in devotion to the patron saint of fishermen San Pedro. The central feast day is on 29 June, the image of the saint is taken out in procession and It is paraded through the bay by boat.